I usually remove the last of the shade cloth in late April or early May to provide my orchids with as much light as possible. A week or two later I clean the fibreglass roofing on the shade houses, and clean the glasshouse roof. Then after another week I remove all the plants from the heated glasshouse so that I can clean the algae from the inside of the glass with a high-pressure jet cleaner. Obviously I have to choose a cloudy but warm day for this operation, so that the plants don’t get sunburnt or chilled while outdoors. It’s a lousy job, and I’ve been known to skip it on occasions but there’s no doubt that the plants benefit from the higher light levels that they receive during winter after both sides of the glass have been cleaned. I usually spray the inside of the glass and the wire mesh benches with Purex® pool algicide at the same time to discourage further algal and fungal growth. Unless you have a heated glasshouse, it’s best to defer any re-potting now until Spring. 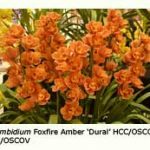 An exception to this advice would be any orchid that you find to appear sickly – if you wait until Spring before applying appropriate treatment and/or re-potting, it may be dead by then! With the onset of wetter weather, snails and slugs will be on the move. The odd one seems to find its way into my cymbidium pots, even though they are supported on wire mesh benches or suspended from hangers. It’s written that snails and slugs won’t crawl over galvanised iron mesh, but in my experience some of them seem to be illiterate! Possibly some reach their destination via overhanging leaves that touch the adjacent paling fence or perhaps via the foliage of other plants growing in the garden nearby. I suspect that others may hatch from eggs laid in the bark potting mix before I’ve used it to re-pot my orchids. As a precaution against attack by snails and slugs, I sprinkle a few granules of Baysol® Slug and Snail Bait into each cymbidium pot in either April or May. I’m sure that other brands of snail bait are equally effective but the blue Baysol® granules seem to last longer, and usually one application lasts until the buds have opened and the flowers have passed their best. Snails don’t seem to attack cymbidium leaves, only the flowers and then generally only the best ones. If they had legs, they would make excellent orchid judges! Remember that all snail killers are toxic, so it’s a good idea to use a disposable plastic glove when dispensing them. Note that they are also poisonous to animals, especially dogs, so always make sure that you store the packet where pets and inquisitive children can’t reach it, and make sure that the bait is distributed down among the cymbidium foliage, so that your dog won’t be able find it. Rats made their appearance among my orchids again at Easter time. They never bothered me (or my orchids) until a year or two ago, when the authorities decreed that our pet cat should be locked indoors after dark. Now I keep a permanent stock of Ratsak® in horizontal lengths of terra cotta agricultural pipe high up in two of my shade houses. The rat bait may remain untouched for a month or two before it disappears, but then it needs replenishing for several nights in succession before the rats disappear again. I dispense the bait in the above manner to ensure that our well-fed but stupid cat doesn’t mistake the bait pellets for the ‘nuts’ that we occasionally give it as a special treat. 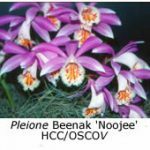 Pleione leaves will soon turn brown and fall. Occasionally novice growers believe that their plants have died, and have even been known to dispose of their ‘dead’ plants! 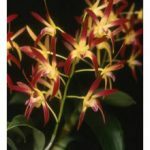 However, it’s a natural process for pleiones to shed their leaves at this time of year. 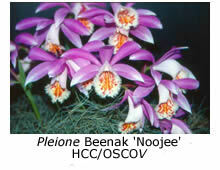 If your pleiones are growing in an uncovered shade-house, it’s a good idea to move them under cover for the winter. The dormant bulbs don’t need watering during this period and they are less prone to rot under cover than if left outdoors in all weather conditions. From now until they flower, soft-cane dendrobiums should be watered less frequently and given no fertiliser at all (because this seems to induce the plants to produce keikis instead of flowers). Give the plants as much light as possible, preferably exposure to full sunlight, to achieve maximum flower production. 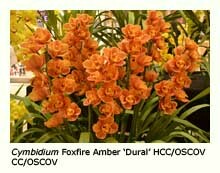 Some hybrids seem to flower more prolifically than others so, if you plan to buy more soft-cane dendrobiums, take note of those hybrids with lots of flowers at the spring shows and then try to find those varieties on the sales bench. 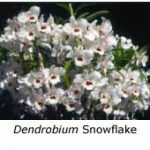 Note that soft-cane dendrobium hybrids that flower well in NSW and Queensland (where the winters are sunnier) do not necessarily flower as well here in Victoria. 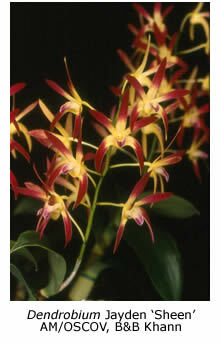 Australian native dendrobiums also flower better if they are exposed to good light during winter. They need less water and fertiliser at this time but I still water them weekly in mid­winter and apply a balanced fertiliser once each month. The plants are less likely to be attacked by caterpillars and aphids during winter but be watchful when the buds begin to appear because they are always the first parts of the plant to be attacked. Rats seem to be especially fond of Australian native dendrobiums, particularly their fleshy pseudo-bulbs. 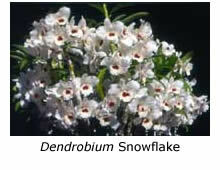 The appearance of leaves on the ground below your dendrobium plants is a sure sign that you have a rat infestation.